In preparation for the HNBA 2018 Advocacy Day we hosted a training to provide members with the latest information on the policy priorities on Capitol Hill, a How-To on lobbying Congress, and a review of the HNBA’s legislative priorities. The webinar training provided real-world examples of current policy campaigns. With the great number of lobby days organized by trade associations at this time of year, it is imperative for our success that our Advocacy Day participants have the tools they need to make the most out of the limited time that we are given by Congressional offices. Your support of the HNBA, your unique personal experiences and your commitment to exercising your constitutional liberties, will lend additional credence to the HNBA’s advocacy platform. We look forward to seeing you on February 27-28. 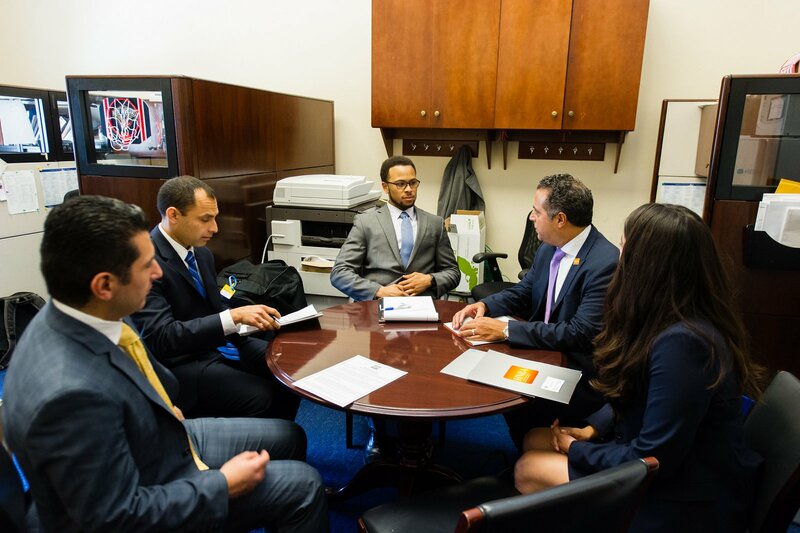 If you have any questions or suggestions about the 2018 HNBA Advocacy Day activities, please contact Mariana D. Bravo, HNBA VP of External Affairs, at vpexternalaffairs@hnba.com.